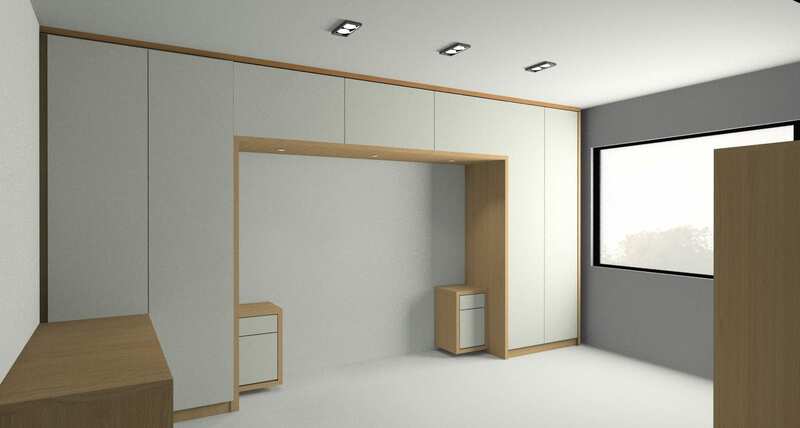 The subject of that particular project was to design and utilize bedroom space in a modern style. 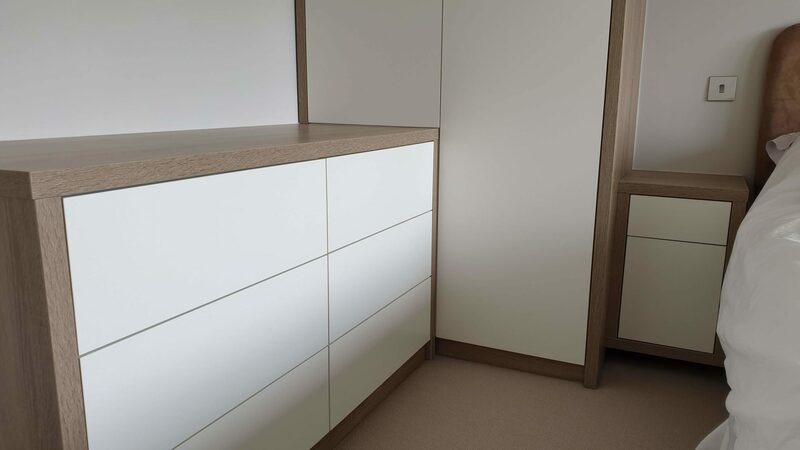 After measurements and consultations with our customer, we decided to combine white mat push to open slab doors with Bardolino Oak 36 mm panels surrounding all carcasses. Thanks to that the bedroom still maintains a warm and cozy character. 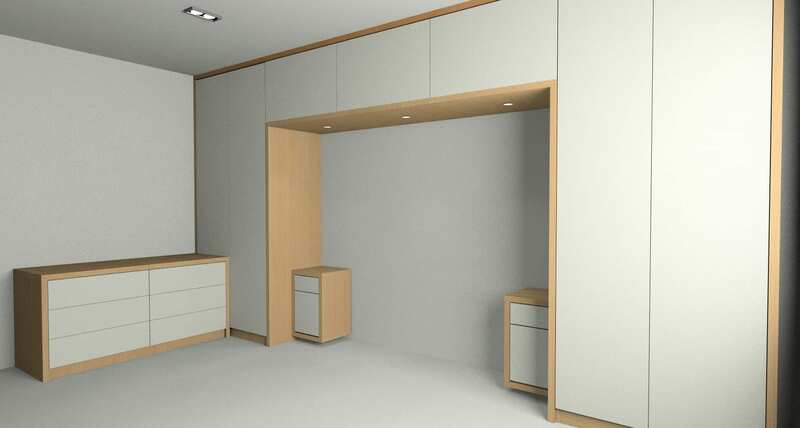 Generall drawing of made to measure bedroom furniture. After the customer accepted the design we have signed the contract and moved project to the production process. 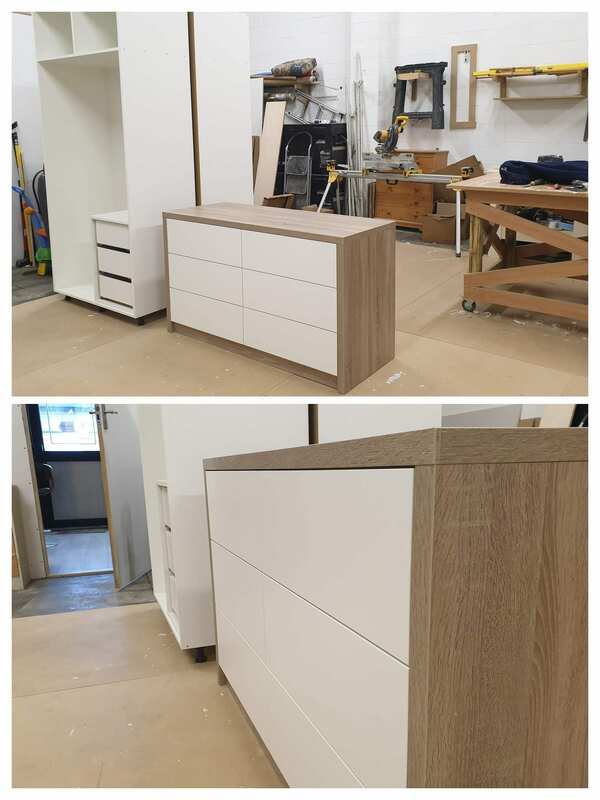 After four weeks from the acceptation of the quote and design w have started to install the bedroom furniture. The results of our work below. 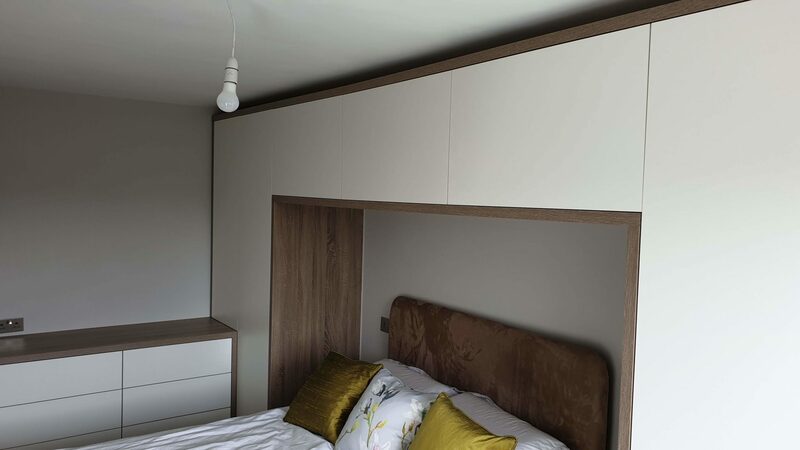 Final effect of the modern style bedroom furniture. 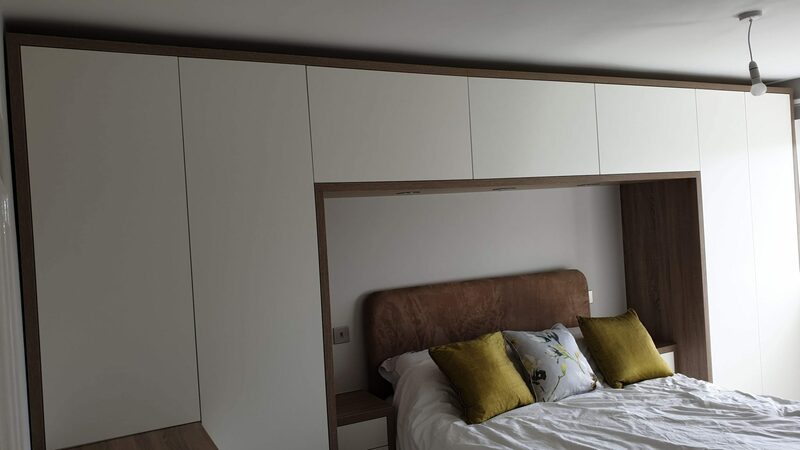 Feel free to contact us to consult your bespoke bedroom project.